1,168 sq. miles of beautiful outdoor scenery. 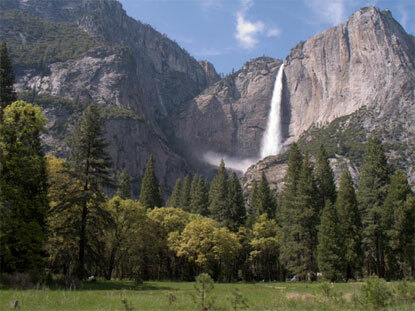 Lakes; rock formations; waterfalls; diverse wildlife; mountains; glaciers. During Winter you’ll deal with less people, as it’s the park’s least popular season. If you’re into skiing this may be the perfect season to visit, though, in my opinion, you’ll be missing out on much of the natural beauty present in warmer months. 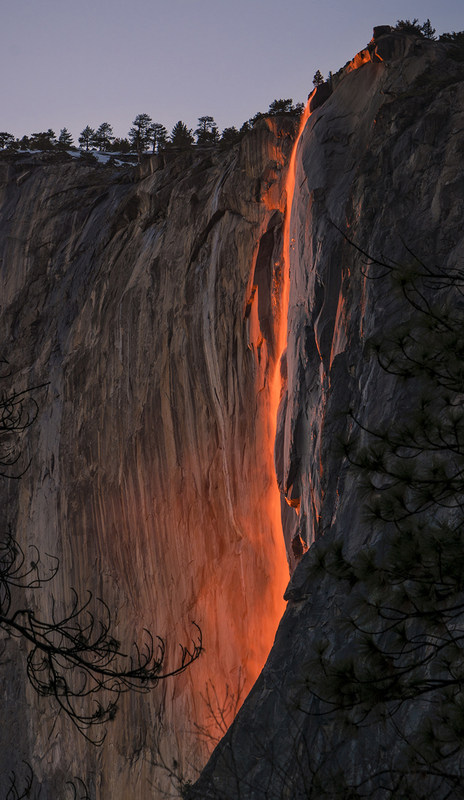 Later in the season, around February, there’s a chance you can catch a glimpse of the Firefall, the outcome of some very specific weather conditions that illuminates Horsetail Falls, giving it the appearance of a flow of lava or fire against the mountain. Spring is the season I’m most excited to visit (whenever that is…). Waterfalls peak in May, temperatures are just right for daytime hiking and nighttime bonfires, and April showers bring May flowers (all the vegetation will be in full bloom). The Summer season is also the tourist season, what with the children being out of school. The sight’s are still available, at least until late summer when waterfalls have the potential to dry up, and the weather, though hot during the day, allows for some adventuring at night without requiring you to bundle up. The Fall season brings rapidly diminishing crowds at popular tourist locations. Some of the roads begin to shut down as winter snows begin. 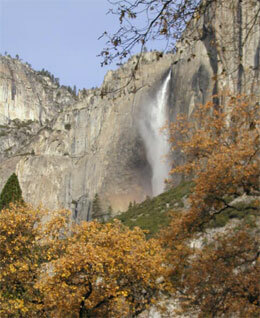 Waterfalls tend to dry up by fall as water levels wait to be refreshed by winter snows. Early fall is great for rock climbing and hiking, though temperatures can vary dramatically. If you’re a fan of the diversity in color of fall foliage (I certainly am! ), the views early in the season will surely impress.